Power Quality or Voltage Quality refers to the changing of the perfect sinusoidal voltage waveform to nonsinusoidal or distorted voltage waveform. In this section you can read up on how to manage your Power Quality better. Do check out the helpful FAQ on Power Quality and get to know how Power Quality is defined based on technical standards. Read up on how to better manage your Power Quality. Voltage variations, such as voltage sags and momentary interruptions are two of the most important power quality concerns for customers. Voltage variations and interruptions are inevitable on the power system. The most important of these variations occur during fault conditions on the power system. Since it is impossible to eliminate the occurrence of faults, there will always by voltage variations. Voltage swells can also be associated with fault conditions but these short duration overvoltages are usually not severe and problems are uncommon. On the power system, protective systems are designed to limit damage caused by unusual events like faults or lightning strikes, and to localize the impact of such events to the smallest number of customers. This is accomplished with overcurrent protection devices, such as reclosers, sectionalizers, and fuses. These conditions are characterized by short duration changes in the rms voltage magnitude supplied to the customer. The impact to the customer depends on the voltage magnitude during the disturbance, the duration of the disturbance, and the sensitivity of the customer equipment. Power quality complaints occur either when the customer has equipment which is very sensitive to these short duration voltage variations (voltage sags etc) and is critical to the overall process or when the frequency of occurrence of the sags is interpreted as being unacceptable. If you have no problems with your electrical loads, you have no obvious PQ issue. If you suffer blackouts, overheating transformers, circuit breaker trips, neutral conductors overheating, computer lockups, or unexplained equipment downtime, you most likely have PQ-related culprits at work in your facility. Whether or not these issues turn into significant problems depends upon their severity and your plant operation. Apart from voltage dips (or voltage sag), customers also encounter problem related to transients and harmonics. 1.0 Why is PQ becoming a BIG issue amongst industrial customers? Voltage sags and momentary interruptions have always existed on the power system. In the past, there were not many complaints about these conditions because residential customers had analog clocks and industrial customers had standard induction motors. Now, residential customers have digital clocks, VCRs, electronic coffee makers, and many other electronic gadgets that rely on continuous power to operate correctly. Every time there is a momentary interruption, many of these devices lose their settings and must be reset manually. Industrial customers also have numerous loads that can be sensitive to voltage sags and momentary interruptions. Voltage sags are the most important power quality problem experienced by most industrial customers. Adjustable-speed drive (ASD) controls, robotics, programmable logic controllers, and even contactors for motor controllers and other control applications will have problems with voltage sag conditions. Whether or not a problem exists depends on the magnitude and duration of the voltage sag. Much of this equipment is used in applications that are critical to an overall process, resulting in very expensive downtime whenever the voltage sag condition occurs. It is important for customers to understand the sensitivity of their equipment to momentary interruptions and voltage sags. The trip thresholds of sensitive equipment can often be modified, either with available settings in the controls or by manufacturer design changes. 2.0 Excerpt taken from IEC/TR 61000-2-8. It is important to note that PQ has been an intrinsic feature of the electrical power systems since the earliest times. Yet in recent decades PQ has become an increasingly troublesome disturbance, giving rise to inconvenience and even considerable economic loss. The reason is due to the fact that some modern electricity utilization equipment, either in its own design or because of control features incorporated in it, has become more sensitive to PQ disturbances/events. The sensitivity to such voltage deviations varies from one piece of equipment to another, what may be considered poor PQ to one device may be perfectly acceptable PQ to another. There is therefore a need for an increased awareness of the phenomenon among the suppliers and users of electricity and the manufacturers of equipment using electricity. Ideally, we think of the electrical power in our facilities as a pure 50-Hz, 3-phase sine wave. Realistically, however, this isn’t the case. Some voltage sine waves will be at a greater or smaller magnitude than their previous counterparts. Nonlinear loads do not draw current for the complete cycle of the sine wave, resulting in distortion of the original or fundamental 50-Hz sine wave. As equipment is switched on and off, transients (or so called “spikes”) may occur along the sine wave. Depending upon the magnitude and longevity of these occurrences, some electrical equipment will be affected — some won’t. It’s the electrical professional’s job to determine the disturbance and its severity, its source, and a resolution. According to the IEC 61000 series standards, PQ is a compatibility problem: is the equipment connected to the grid compatible with the electromagnetic environment of the grid, and is the power delivered by the grid, including the electromagnetic disturbances, compatible with the equipment that is connected? When there is a lack of compatibility, end user equipment may cease to function, operate erratically or incorrectly, may operate outside its normal envelope at reduced efficiency or in such a way that it’s operating life is reduced. The situation is further complicated by the fact that many PQ issues are caused by the operation (or mis-operation) of end-use equipment that is connected to the network. Compatibility problems always have at least two solutions: in this case, either clean up the power, or make the equipment tougher. Incompatibility between power supply and the industrial equipment can cause mal-operation of customer equipment or degradation in the quality of industrial product. PQ disturbances occur in every power systems around the world. International standard bodies e.g. IEEE (US) and IEC (Europe) are producing documents on PQ guidelines and standards as reference to the power utilities, equipment manufacturers and equipment users. The semiconductor industries have also produced standards (SEMI F42, SEMI F47, SEMI F49 & SEMI F50) regarding the short duration voltage variations (sags) for their members. The best way to avoid PQ problem is by ensuring all equipments to be installed are compatible with electromagnetic environment of the respective power systems. This can be achieved by procuring equipment with proper technical specifications that incorporate proper immunity and emission requirement for all critical electromagnetic disturbances. Background PQ survey should be done in order to obtain better information on the existing electromagnetic environment. TNB can also be referred to provide available background data on the electromagnetic environment for selected sites. Check when the problem normally occurs i.e. at certain times of a day or at random. Identify equipment and the protection systems that are frequently affected. Refer to TNB to identify the types/sources/causes of the supply disturbances. Provide voltage measurement (if available). If the types/sources/causes of the supply disturbances are not known, please perform this two action plans. Verify with the nearby factories for possibility of internal flashovers in other customers’ installations. These flashovers could be the causes of the PQ disturbances. If the types/sources/causes of the supply disturbances originated from the AC power systems, TNB will implement mitigation measures to improve the reliability of the power systems. To further assist our customers, TNB will provide a report on the types/sources/causes of the supply disturbances. In the same report, summary of the EMC evaluation of the PQ disturbances and action plans performed will also be reported. Step 6: If the types/sources/causes of the PQ disturbances/events are known, discuss with TNB, electrical consultant or equipment manufacturers on measures for improving the immunity of the critical equipment or measures to minimize the emission of the PQ events from the internal loads in the factories. Step 7: Implement mitigation measures. It is recommended that new customers design all their critical equipment and processes to meet or exceed the requirement of the technical standards. Check here for the FAQ on Power Quality. Power quality is generally measured by the shape of the voltage waveforms supplied at the customer’s meter. The voltage waveforms may reduce, increase, fluctuate or distort due to controllable or uncontrollable circumstances. 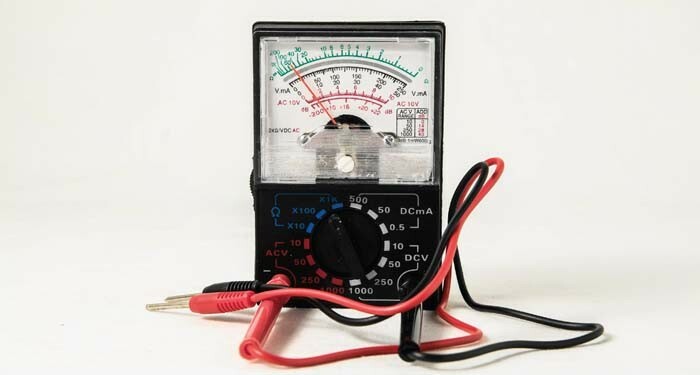 Power quality is measured by the consistency of the voltage supplied at the customer’s meter. The amount of voltage availability may fluctuate or change due to controllable or uncontrollable circumstances. Any types of electrical equipments can be affected. Standard building systems such as lighting, HVAC and communications equipments are frequently affected. The most costly power quality problems often involve more sensitive high-tech equipments such as computer controlled equipment and data systems. Any types of electrical equipments can be affected. Standard building systems such as lighting, HVAC and communications equipments are frequently affected. The most costly Power Quality problems often involve more sensitive high-tech equipments such as computers and data systems. If you answer YES to any of these questions, you are likely to be experiencing a Power Quality problem: Are you experiencing premature failures of electronic equipments or motors and drives? The most common causes of Power Quality problems include lightning strikes, equipment failures, third party encroachment, cable damages, weather conditions and operation of non-linear & fluctuating loads. External causes are not necessarily from electrical lines; any wire entering a building may cause problems, including communication and data lines, telephone and coaxial lines as well as satellite connections. IEC 61000-2-12; Electromagnetic compatibility (EMC) - Part 2-12: Environment - Compatibility levels for low-frequency conducted disturbances and signalling in public medium-voltage power supply systems IEC 61000-3-6: Assessment of emission limits for distorting loads in MV and HV power systems. IEC 61000-3-7: Assessment of emission limits for fluctuating loads in MV and HV power systems. MS 1760:2004: Guide on voltage dips and short interruptions on Public Power Supply System. IEC 61000-4-11: Immunity test for voltage dips, short interruptions and voltage variation for equipment less than 16 Amp IEC 61000-4-34: Immunity test for voltage dips, short interruptions and voltage variation for equipment more than 16 Amp IEEE Std.1100-1999, IEEE Recommended Practice for Powering and Grounding IEEE Std 1159-2009, IEEE Recommended Practice for Monitoring Electric Power Quality Engineering Recommendation P28 : Planning limits for voltage fluctuations caused by industrial, commercial and residential equipment in the United Kingdom. Engineering Recommendation G5/4: Planning levels for harmonic voltage distortion & connection of non-linear equipment to Transmission and Distribution Systems in the United Kingdom. SEMI F47: Specification for semiconductor processing equipment voltage sag immunity SEMI F49: Guide for semiconductor factory system voltage sag immunity There are others technical standards not mentioned here. Click for the definition of Power Quality according to technical standards. Electrical Power Quality (PQ) is a generic term applied to a wide variety of electromagnetic phenomena in the AC electrical power systems. Quite often the term PQ is associated with specific problems with voltage sensitive equipment or system for example equipment damage, data problem or loss, equipment malfunction or complete system failure. The main problem using the term PQ comes when trying to determine what are the actual problems and the causes of the critical equipment maloperation. The IEEE is a society of electrical and electronic engineers across the world. The recommendations of IEEE come from people in the industry who actually manage and design facilities. The IEEE 1100-1999 & IEEE 1159 are the best sources for defining PQ problems. They also discusses problem with equipment and systems and it offers solutions to these problems. The IEC (International Electrotechnical Commission) is the world’s leading organization for the preparation and publication of International Standards for all electrical, electronic and related technologies. These are known collectively as “electrotechnology”. IEC provides a platform to companies, industries and governments for meeting, discussing and developing the International Standards they require. IEC Std. 61000-2-1, Electromagnetic compatibility (EMC) - Part 2: Environment - Section 1: Description of the environment - Electromagnetic environment for low-frequency conducted disturbances and signalling in public power supply systems. “PQ is defines as conducted electromagnetic disturbances present in AC electrical supply network in the frequency range from 0 to 9 kHz, with an extension up to 148.5 kHz”. In IEC, the concept of Electromagnetic Compatibility (EMC) is important to ensure minimum equipment mal-operation due to conducted electromagnetic disturbances. The conducted electromagnetic disturbances make up the electromagnetic environment for electrical equipment. Electromagnetic Compatibility (EMC) is the ability of equipment or systems to function satisfactorily in their electromagnetic environment without introducing other intolerable electromagnetic disturbances to the environment.